Have you ever thought when you were praying how could this prayer be affective?Maybe you've been praying for your nation. Those thoughts of how could this prayer be affecting an entire nation! Your prayers do matter and after you read this blog you'll see how they matter. Well let me share with you first about my recent travels to Washington,DC which was an a-mazing trip! My Grandmother and I attended CUFI (Christians United For Israel) which is an organization founded by John Haggee which supports the Jews and their rights to their land, Israel. 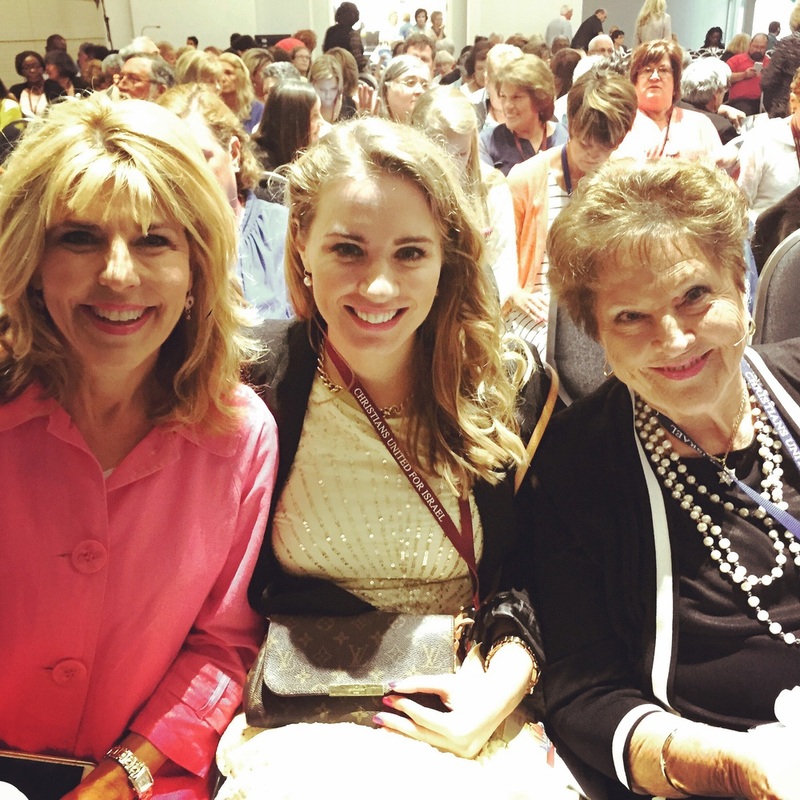 The first event of CUFI was the Daughters For Zion prayer meeting which is head up by Lynne Hammond. I have been to many prayer meetings since I was 4 years old, and this was a POWERFUL prayer meeting! Here is what I wrote in my journal as soon as I got back to my hotel room! Wow! The power of God was so evident in the meetings today. Lynne spoke about the power of corporate prayer and bringing your supply. She said that every move of God was first started through prayer! We are here for such a time as this and what God has called us to the kingdom! Preparing the way and clearing out the obstacles when you pray through utterance of the HolySpirit! We could sense a corporate supply of prayer as the HolySprit prayed through us in that prayer meeting. You may not have physically been in DC, but know that much prayer was made available because you yielded to the HolySpirit! If you've ever attended "marathon" meetings you know that you usually don't get much sleep! So as my grandmother and I were running from meeting to meeting I could physically sense the supernatural energy and strength and I know in my heart was because the saints of God were praying. We all need each other. There is not one person that has it all! The only person that I know that has it all is Jesus. We needed the Holy Spirit prayed prayers on our behalf for this monumental trip! You have a voice to pray over this nation, and those prayers were felt as we stepped foot in Washington, DC. On Tuesday we went to speak to our senators on Capitol Hill about why they should be supporters of Israel! This was also the same day that the Iran Deal was signed. God was involved with the timing for us to be there! When we first got to Capitol Hill some of the Pastors of the group gathered in a circle for prayer before we were to meet with the Senators and their staff. Afterwards when I stepped into the elevator to go to the Senators office I literally felt like I was floating. I immediately thought I may have gotten dehydrated and needed to drink more water. I turned to Pastor Vicki and said I think I need to drink water I feel like I'm floating! She said Hannah I believe that's the HolySpirit and I feel the exact same way! We were at the Capitol Hill for at least 5 hours, and the entire time I could sense the weighty powerful anointing of the Holy Spirit. We were walking through the halls I could feel the presence of God strongly , and could sense the prayers that were being made for us that day! If you can't tell by reading this...my heart is so stirred about what's happening! God is moving and know that there is POWER made available through the HolySpirit when you yield yourself to prayer (James 5:16-17)! I want to encourage you that the supply that you carry is so important for this time we live in. Your supply counts! HolySpirit prayers are effective as you yield to Him!